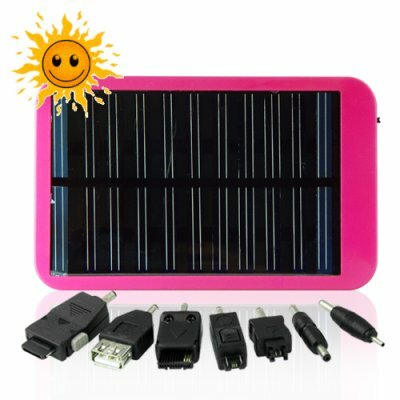 Successfully Added Portable Solar Panel Cellphone Charger to your Shopping Cart. Portable Solar Panel Cellphone Charger. Wholesale priced solar powered charger, allowing you to recharge your mobile phone, MP3 player, or any other low powered electrical device when you are away from a power source. This is a great gadget to have with you whether you are out traveling, are environmentally friendly, or are in an emergency situation. A great wholesale device, useful in almost any situation, and available with Chinavasion's one year warranty and no M.O.Q. (minimum order quantity) policy.